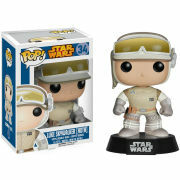 From Star Wars: The Force Awakens, Luke Skywalker gets the Pop! Vinyl treatment! Luke Skywalker has resurfaced with a beard! 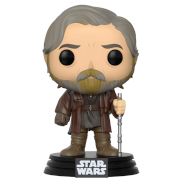 The Star Wars: The Force Awakens Bearded Luke Skywalker Pop! Vinyl Figure features the matured Jedi in a hooded robe and revealing his cybernetic hand. This figure measures about 3 3/4-Inch tall and comes in a window display box.